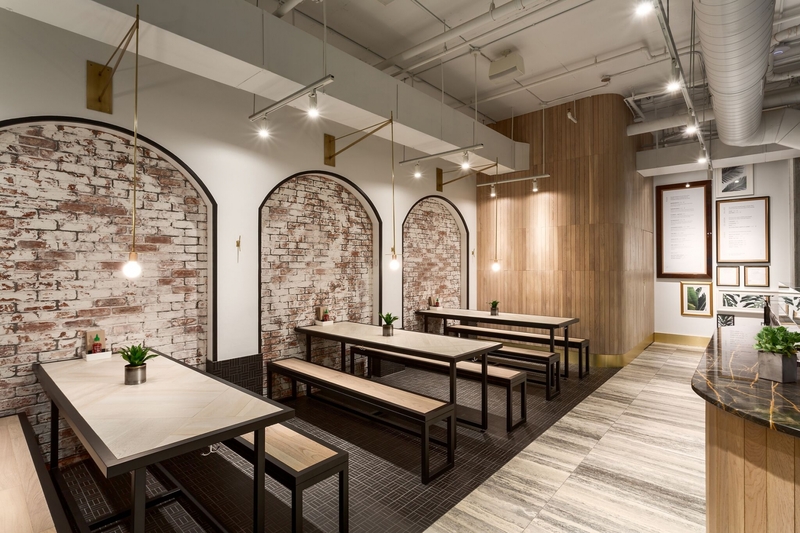 Inspired by old-world Italy, our 1,100 square foot space at Virtuous Pie Vancouver Chinatown is as fresh and modern as our menu. 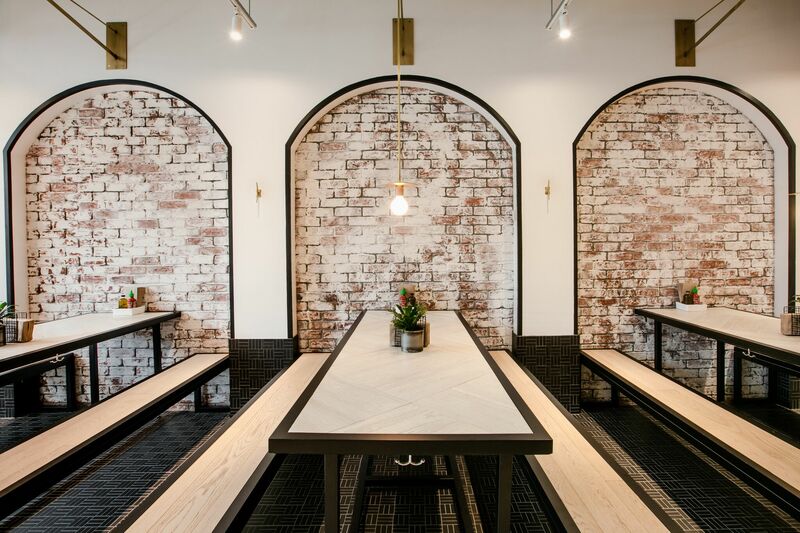 We’ve combined a variety of natural materials and textures including marble, reclaimed wood, travertine and vintage brick. 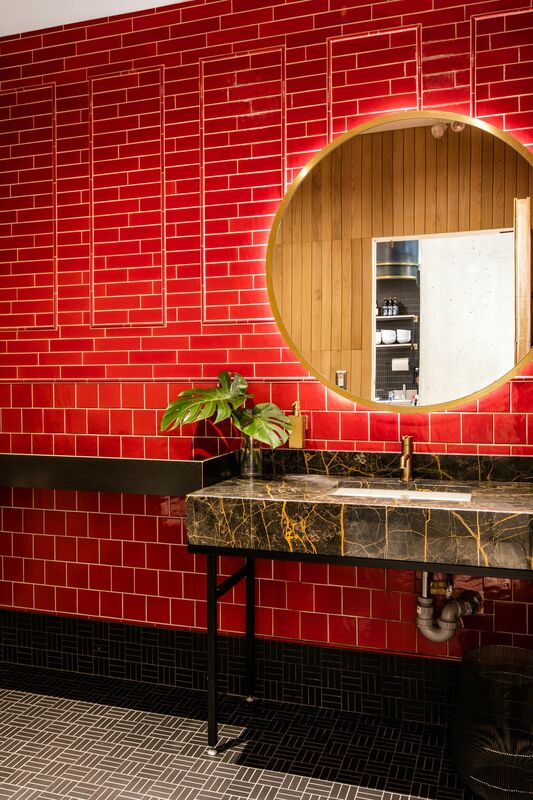 The red-tiled bathroom pays homage to our Chinatown neighbourhood and everything from the tables to the benches and the brass lighting is locally designed and made for a “for Vancouver, by Vancouver” feel. 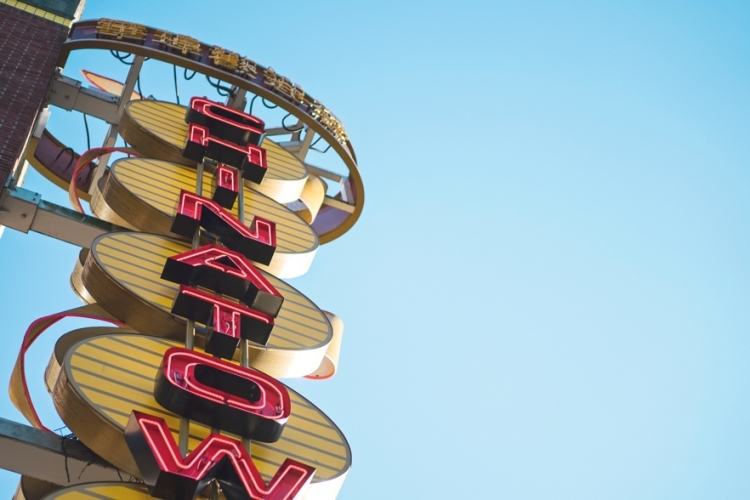 Interested in joining our CHINATOWN team? Contact us HERE with your Cover Letter and Resume. 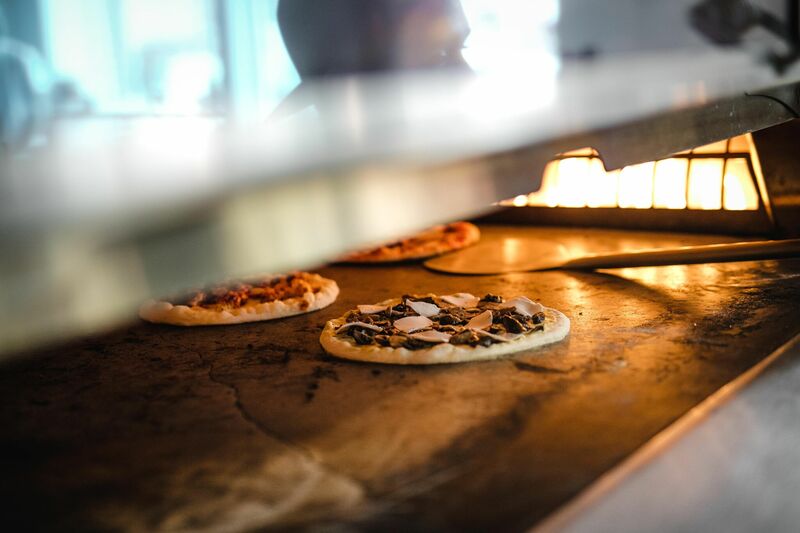 Our handcrafted pizzas are made entirely in-house. 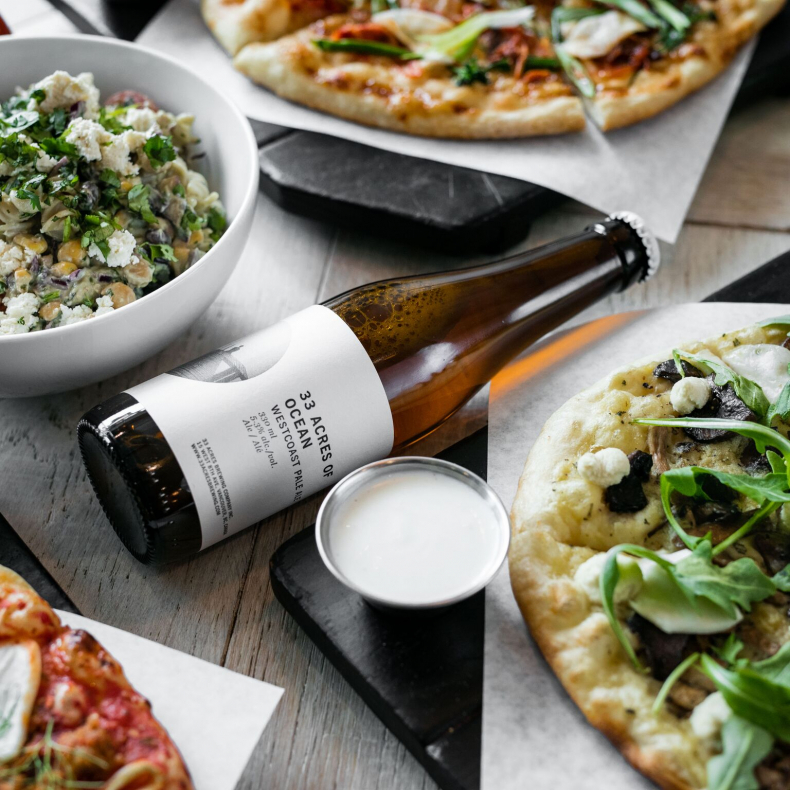 This includes our artisanal nut based cheeses and our three-day dough that is hand stretched for the best tasting plant-based pizzas. All pizzas are sized at 10 inches for an individual portion. 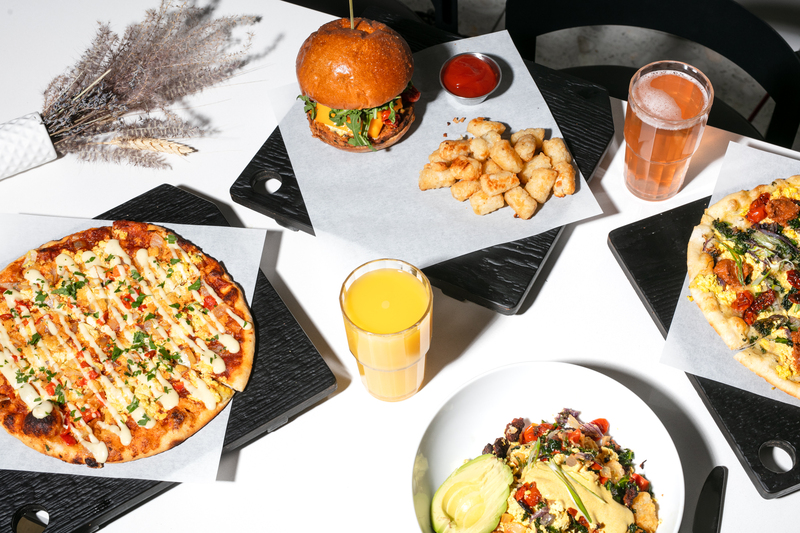 Our Italian inspired, plant-based twists on the classics are perfect for sharing between friends, enjoying on their own, or paired with a pizza. 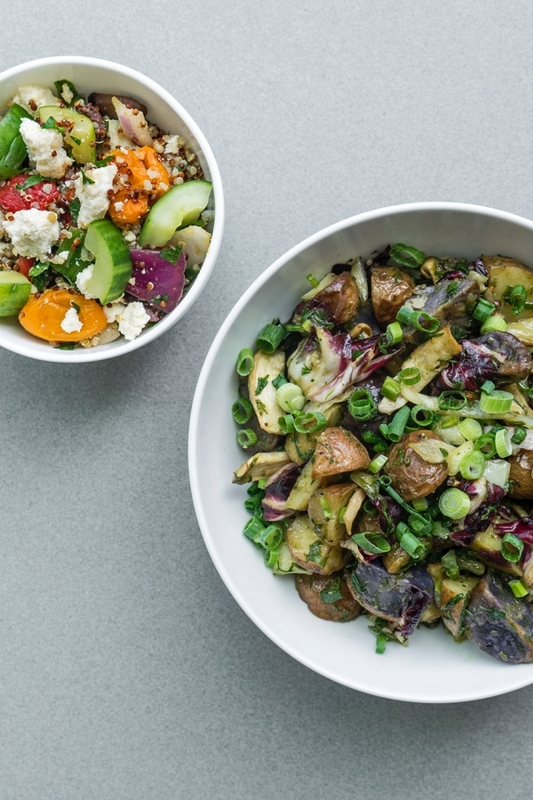 Our seasonally inspired salads make the perfect side or meal. 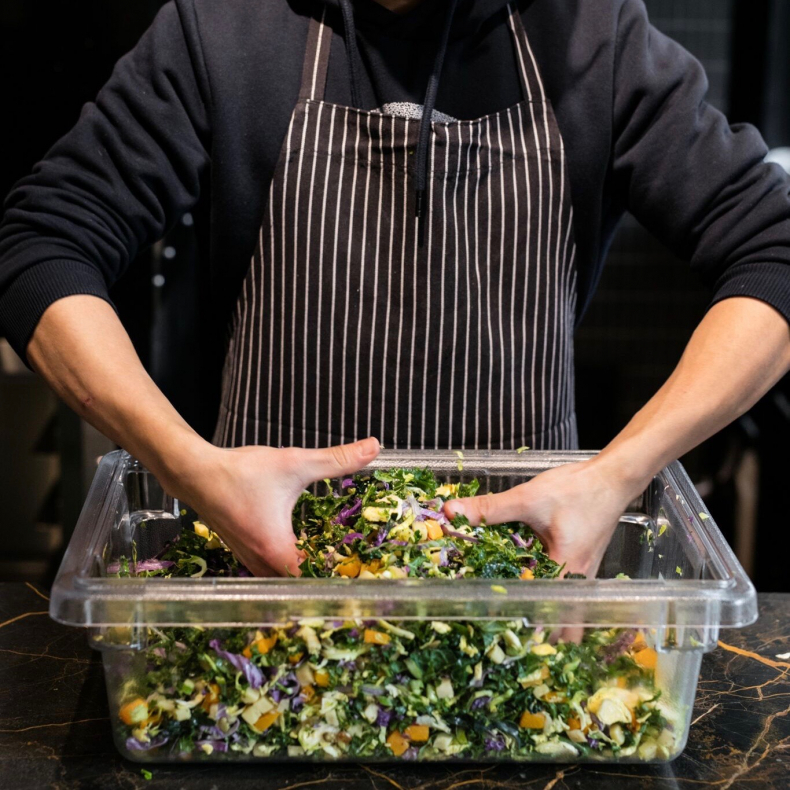 We rotate flavours often to keep it fresh—check this space to see what we are serving. 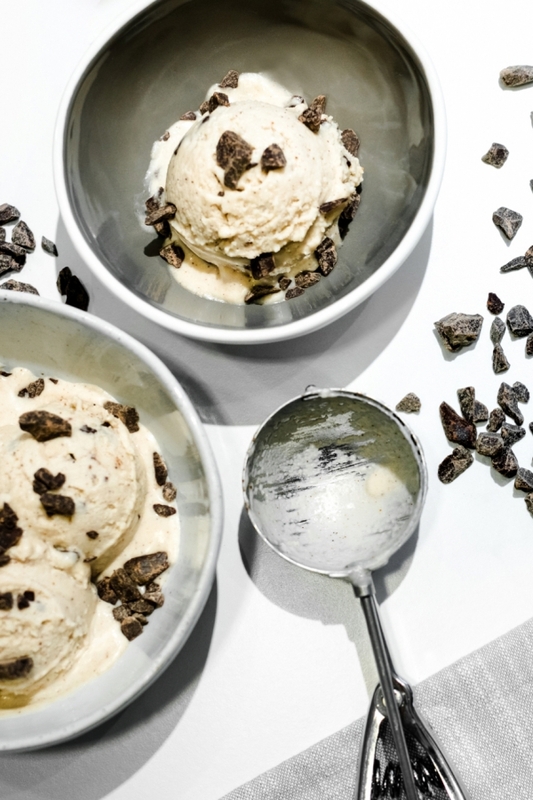 Our small batch ice cream is 100% plant-based and rooted in goodness. 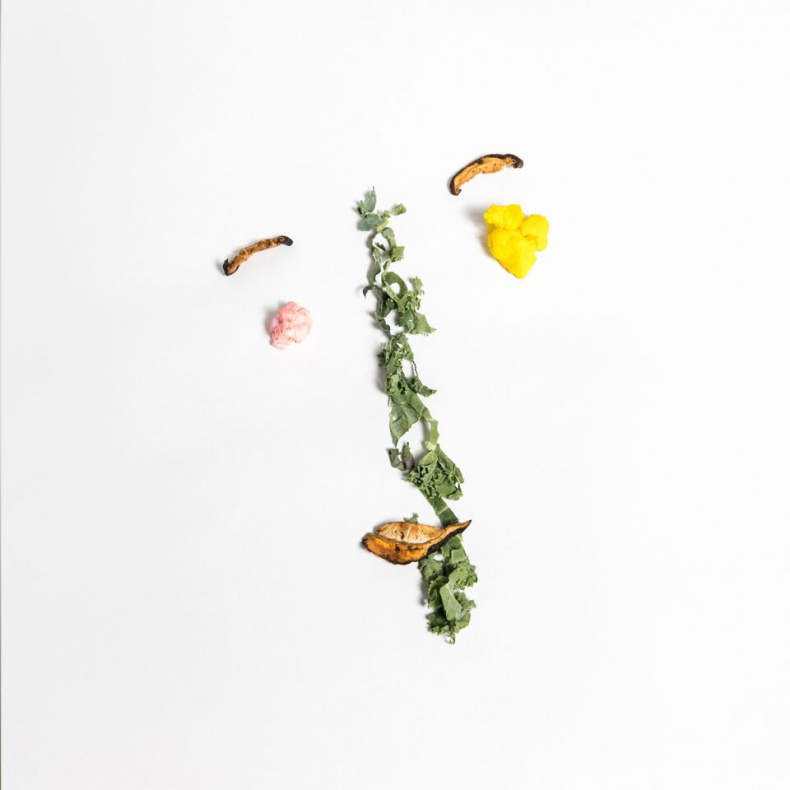 We select the finest seasonal ingredients to develop unique, handcrafted flavours for both our daily and regular flavours. Sheway is a local Vancouver organization dedicated to supporting women and mothers dealing with substance use issues, providing food, community, education and medical services for the women and their children. 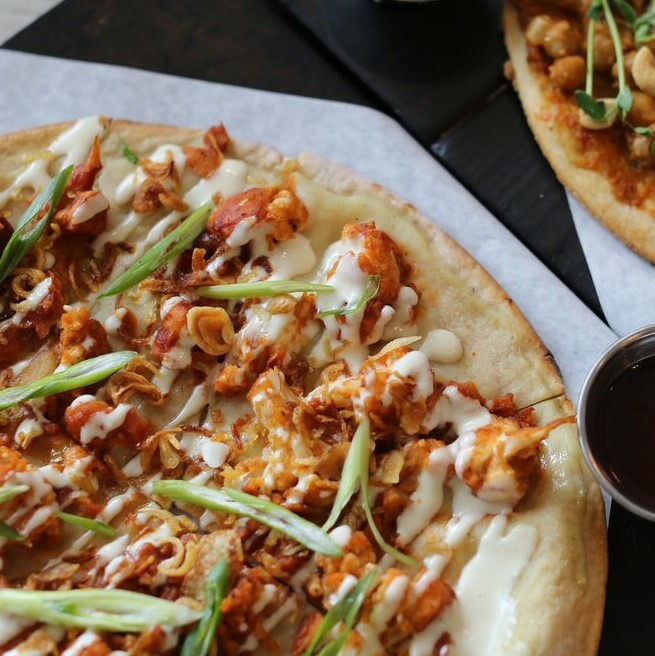 We’ve proudly partnered with Sheway the last 3 years to donate a portion of our Holiday pizza sales. La Boussole is a non-profit organization and community and social centre located in Vancouver that caters to Francophones living in precarious situations or in need, among others. 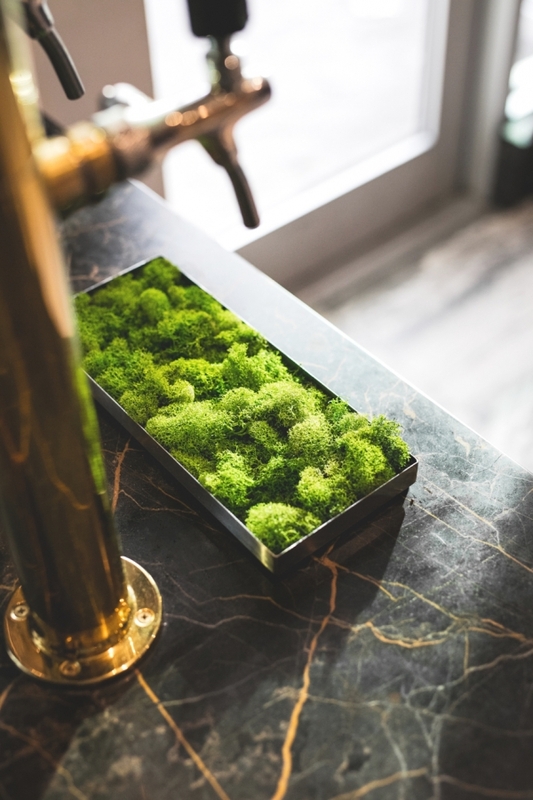 As a restaurant, food waste happens for various reasons. Virtuous Pie is proud to continue supporting a healthy planet + our community by regularly donating edible food waste to La Boussole. The Vancouver Humane Society is dedicated to the humane treatment of animals. 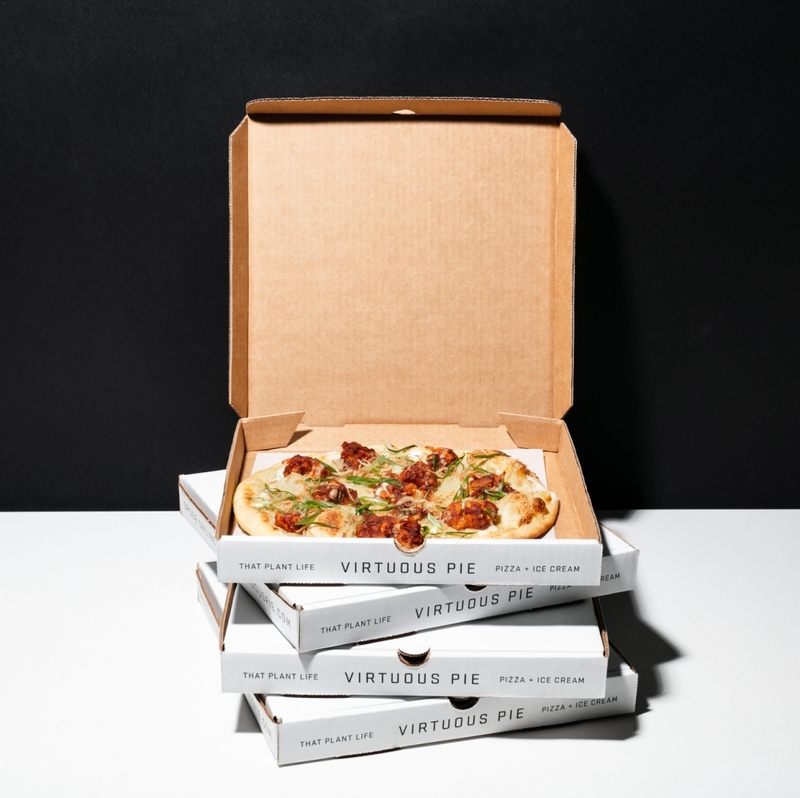 At Virtuous Pie, we believe that no animal should suffer, be harmed or die in order for us to eat. Every animal has the right to life and freedom. 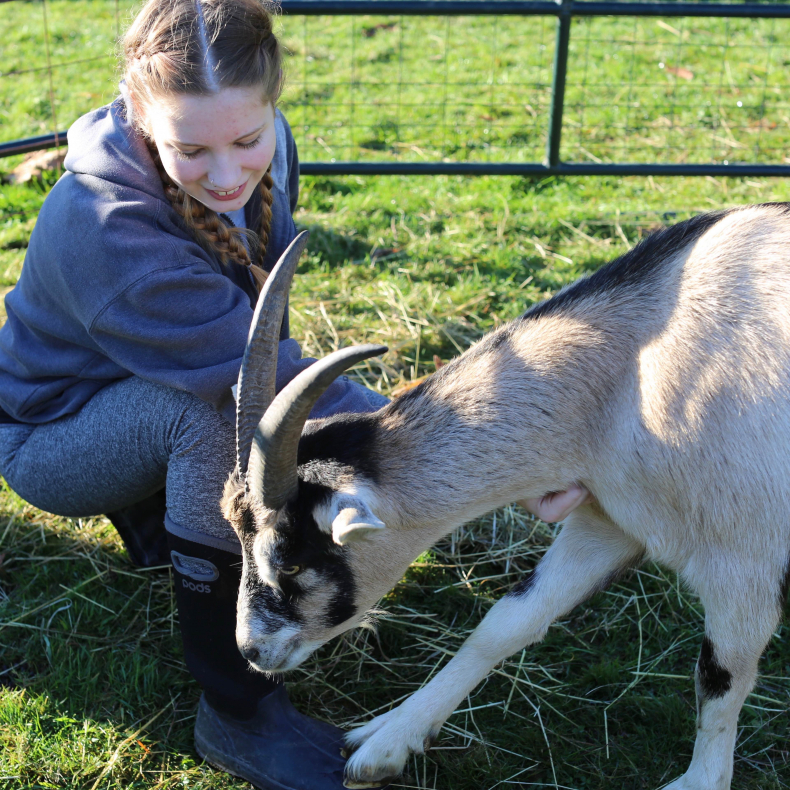 We celebrated #GivingTuesdays this year to raise money for VHS and The Happy Herd farm sanctuary in Abbotsford, BC. 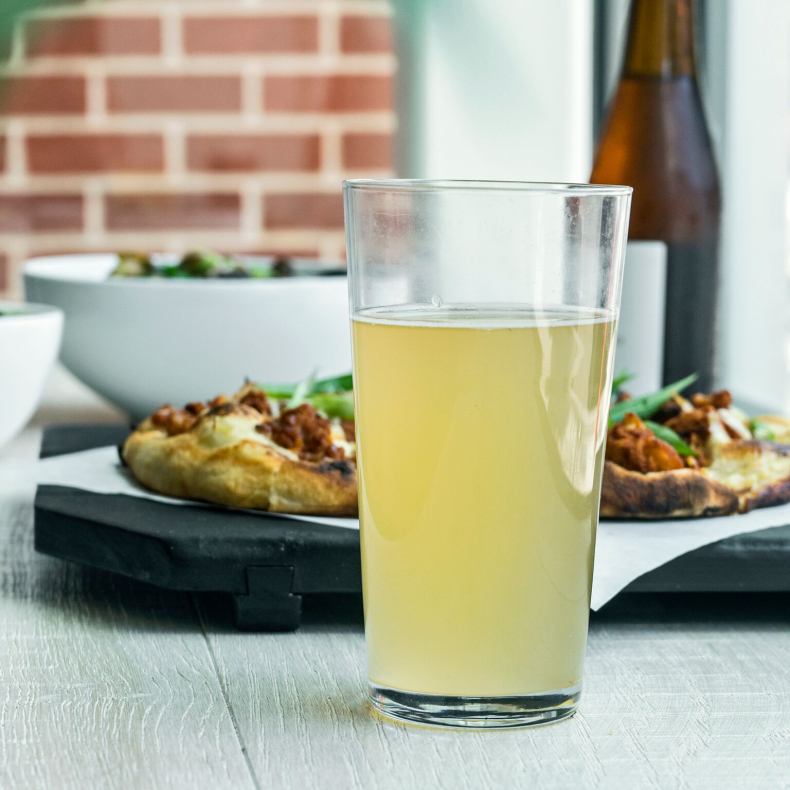 Virtuous Pie is excited to have Hoochy ‘Booch’s light, bubbly, and refreshing kombucha flowing from our taps. 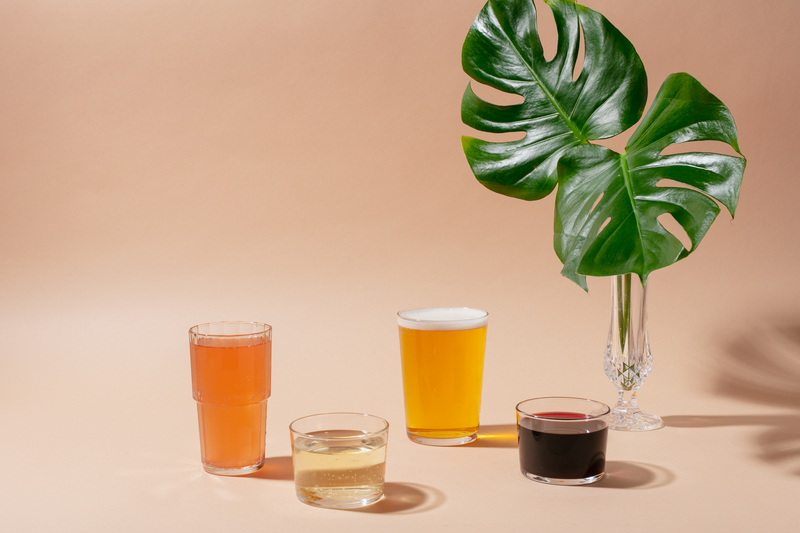 Brewed locally in Vancouver, they rely on natural and unique tea blends for their delicious flavours, while skipping out on added fruit, juice, or sugars. Try it during weekend brunch in a Mim-Bucha cocktail, or go with your GUT and get a glass, or a growler re-fill! We are excited to work with Vancouver’s first and original Cold-Pressed Juice Company, The Juice Truck. 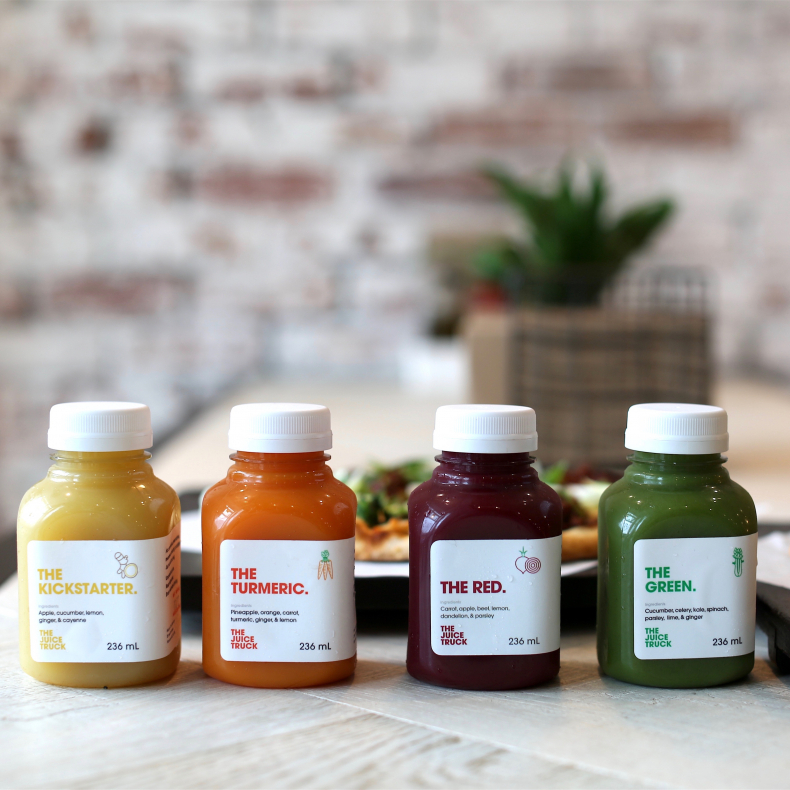 For a fresh sidekick to your meal, we recommend any of the four cold-pressed juices we are serving up, ranging from straight greens to some punchy citrus flavours! Situated just off the banks of the Fraser river in Delta BC, Four Winds brewery is a family & friend built brewery, and are at the forefront of the BC craft beer scene. 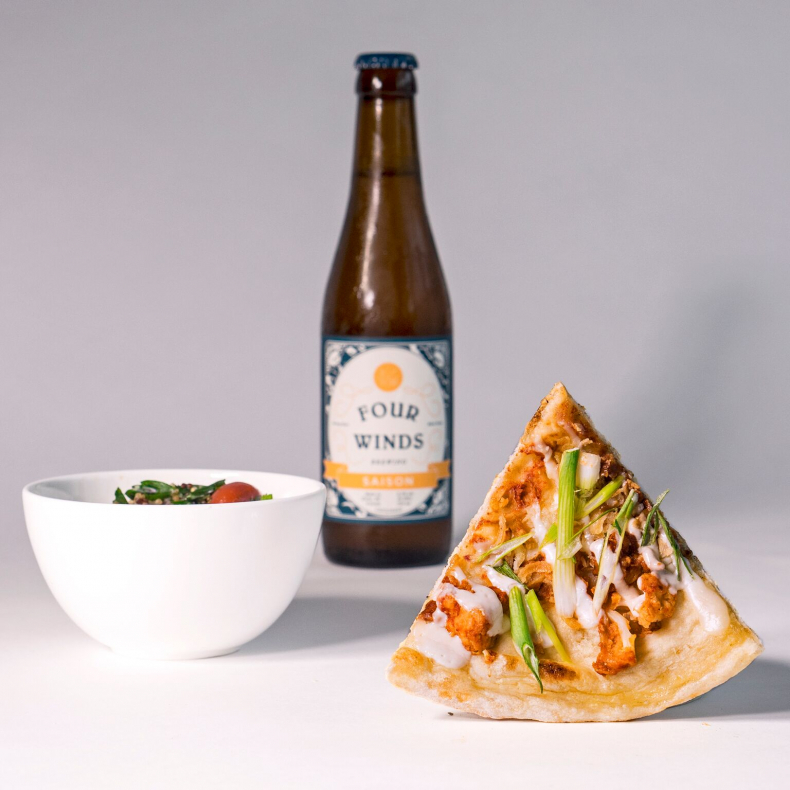 We are excited to partner with Four Winds, serving their Pilsner (pair it with our Grandma Pie). 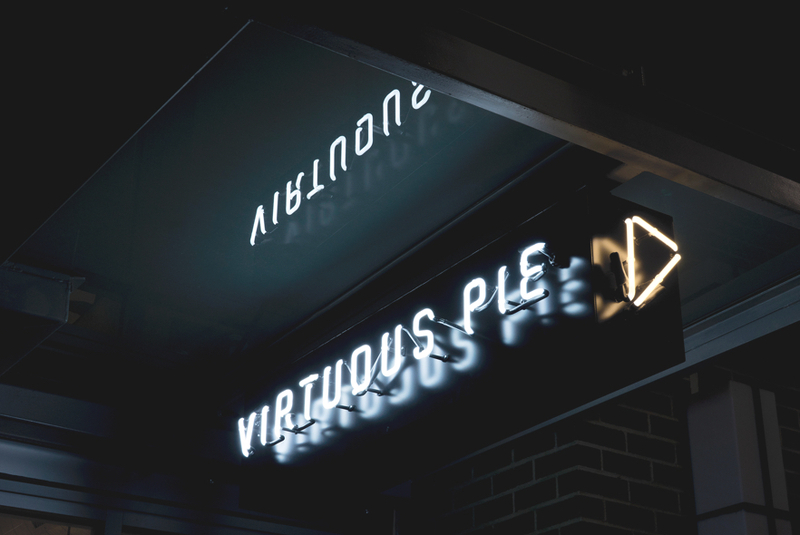 Only a few blocks away from Virtuous Pie is 33 Acres Brewery, a partner we are proud to serve alongside our pizza and ice cream. Producing wine organically has a very meaningful benefit to the environment and is essential to Summerhill Pyramid Winery, in BC’s Okanagan terrior. These practices allow the grapes to honestly express their surroundings, providing deep, terroir-driven qualities. 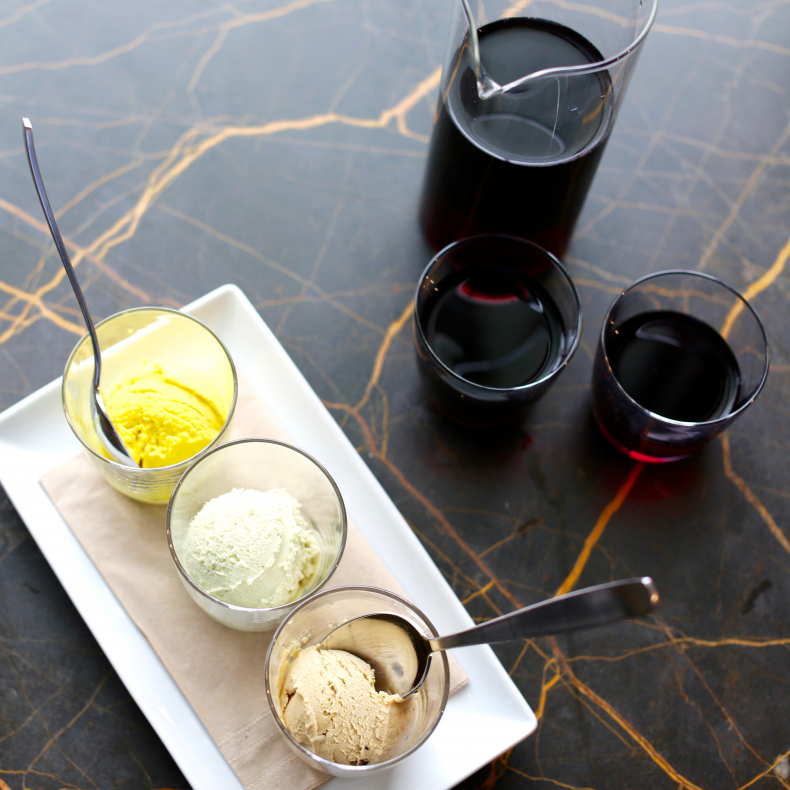 Taste their red on tap at Virtuous Pie by the glass or carafe – perfectly paired with a flight of ice cream! Haywire wine is a certified organic wine out of the Okanagan, from a team committed to farming wines that are lively and elegant and let the natural beauty of the Okanagan Valley shine through. 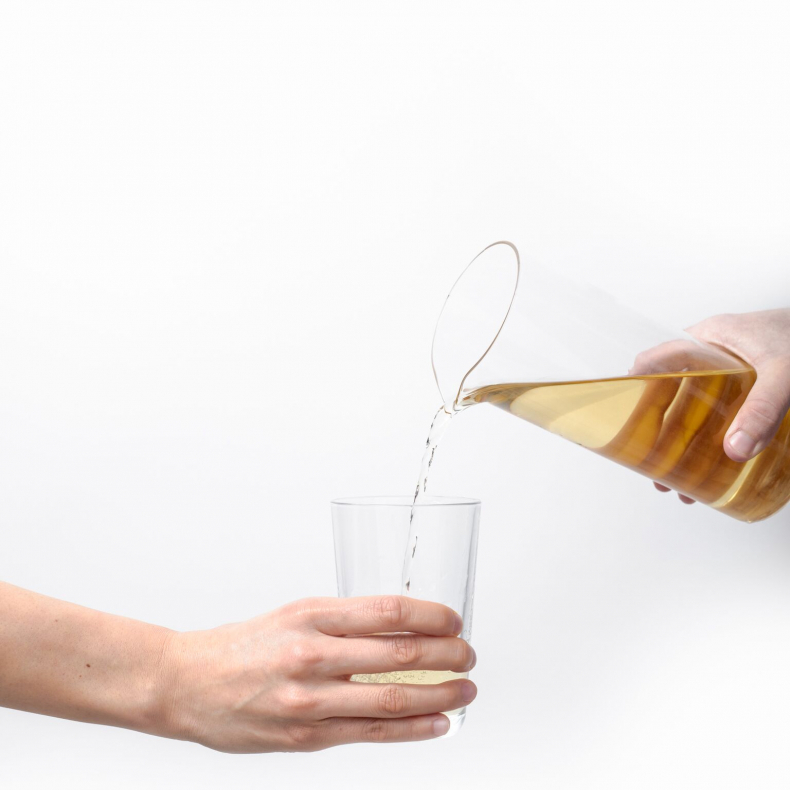 Enjoy a glass (or carafe!) of the Haywire Pinot Gris along side one of our seasonally inspired salads. Vegan Supply is a Canadian online retailer for all things vegan, and recently became our neighbours with their storefront just around the corner from our Chinatown location! Some of Virtuous Pie’s most creative and loved pies wouldn’t be possible without the ingredients we source from Vegan Supply. 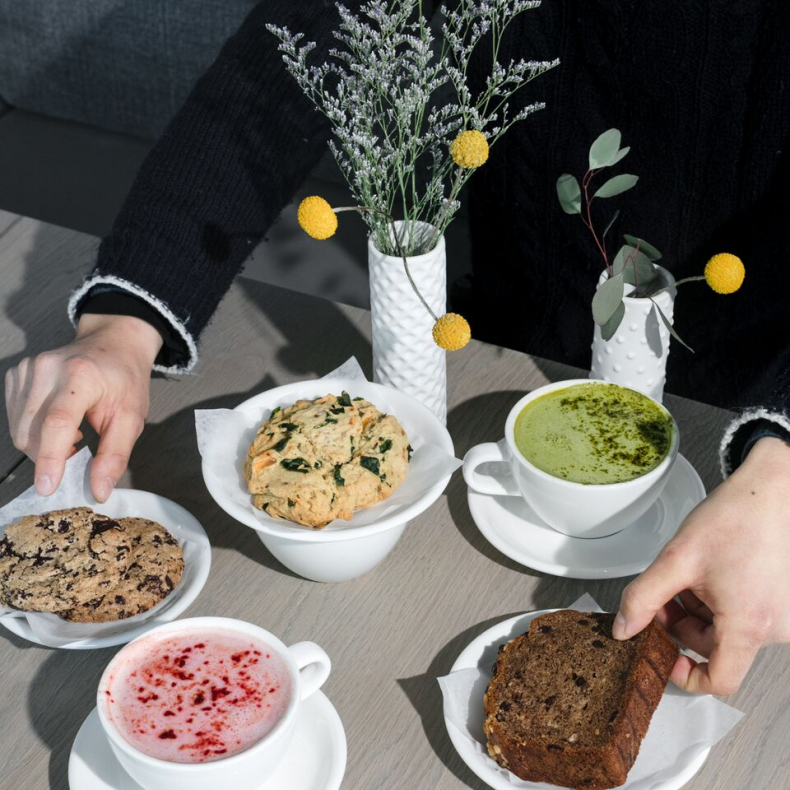 Based in Whistler, Namasthe teas are carefully crafted each step of the way using both organic single-origin leaves and locally foraged botanicals. Enjoy a mug alongside weekend brunch, or after dinner paired with our ice cream. 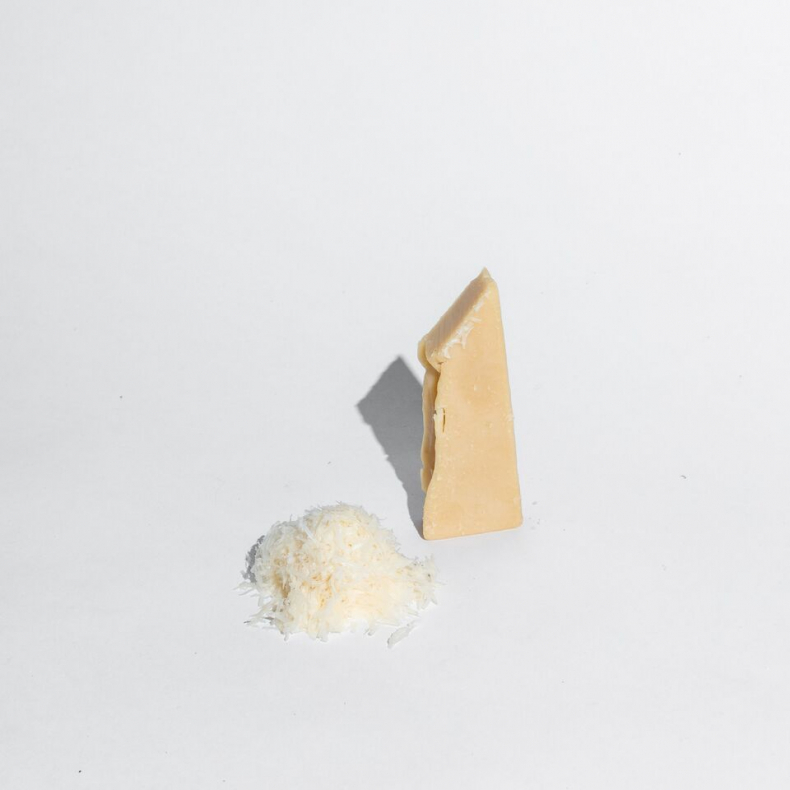 NextJen’s chef-created gluten-free flour blends and mixes means there is no need for sacrifice in texture and flavour when it comes to eating gluten-free. Check it out for yourself – try the gluten-free crust as the base for your pie, and don’t forget a gluten-free ice cream sandwich for dessert!